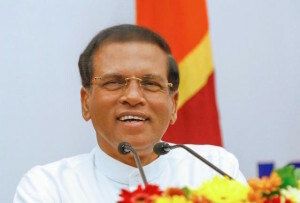 The Colombo Telegraph learns that the Presidential Secretariat is in the process of finalizing procedures for the appointment of the two remaining Commissioners to Sri Lanka’s Right to Information (RTI) Commission. The appointments are expected to take place within the coming week/s. The Commission consists of five persons appointed by the President upon the recommendation of the Constitutional Council (CC). Under the RTI Act, No 12 of 2016, the CC’s recommendations must include three nominees of the Bar Association of Sri Lanka, organizations of publishers, editors and media persons and other civil society organizations after ensuring that the nominees have distinguished themselves in public life with proven knowledge, experience and eminence in the fields of law, governance, public administration, social services, journalism, science and technology or management. 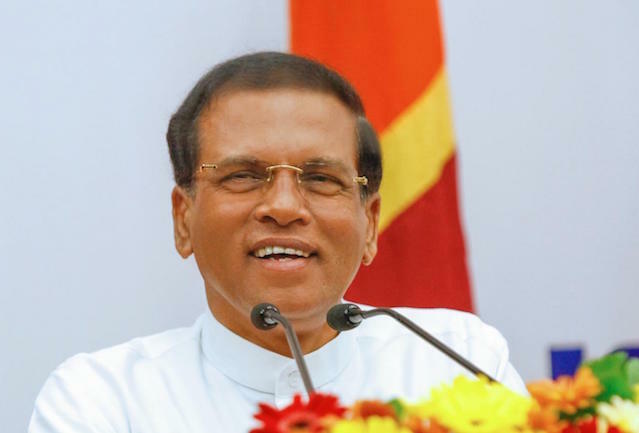 Three Commissioners, namely retired public servant Mahinda Gammanpila (Chair), attorney-at-law Kishali Pinto-Jayawardena and attorney-at-law S.G. Punchihewa were appointed members of the country’s first RTI Commission by President Mauthripala Sirisena with effect from October 1st 2016. Appointment of the remaining two Commissioners was however delayed as civil society organizations (including Transparency International, Sri Lanka) and the Bar Association of Sri Lanka had nominated persons who could not hold office in terms of the Act. Nominees N. Selvakkumaran, law academic and Saleem Marsoof retired judge of the Supreme Court were disqualified as one is a public officer and the other is a visiting judicial officer overseas. When questioned by Colombo Telegraph on Friday, sources at the Presidential Secretariat clarified that both Selvakkumaran and Marsoof had explained as to why they could not accept the appointments with at least one nominee stating that he had not been consulted by civil society organizations before the nomination was made. ‘This is typical of the careless way in which things are done. As a result, the whole process had to start all over again. The delay was because of this’ the official explained when asked as to why the two remaining appointments were taking so long. Adding to the confusion, the Department of Government Information had sent out a wrong notification at the time stating that all five members had been appointed. Under the Act, the RTI Commission is the primary supervisory, monitoring and appellate body. It has powers to summon individuals and to take refusals to supply information directly to court without the intervention of the Attorney General. The RTI Act, ranked as the ninth best in the world, applies to a wide reach of agencies including all bodies established under the Constitution, Government entities including Provincial Councils and Local Bodies and entities working for other public authorities, public corporations as well as private entities, educational/vocational/training entities and NGOs in specific contexts. The legislature and the judiciary are also included. The implementation agency under the RTI Act is the Ministry of Media which has been appointing information officers. The Department of Government Information has also been involved in the RTI implementation process. It set up an RTI Task Force as an external body before the RTI law was enacted with mainly members of NGOs with one formal objective to secure funding from donor agencies. It is now in disarray reportedly due to infighting. The Colombo Telegraph reliably learns that several donors have expressed displeasure following canvassing by the Task Force. Questions have been asked to why only three or four major NGOs in Colombo are named in funding proposals. The senior representative of a multilateral agency approached for funds had asked ‘Are these the only organizations in town? Many of those involved in one organization are also holding positions in the other organization or have other close links. Where are the grassroots organizations?’ One example cited was Transparency International, Sri Lanka and Verite Research both of which had representatives on the now non-functional Task Force. Asked to comment on this, the retired public servant speaking to Colombo Telegraph stated that he had no idea about any Task Force but said that the independent RTI Commission will be faced with an uphill struggle in staying apart from controversial actions of government agencies and others.